Product returns can add an estimated 8-10% of the cost price of the product, even more in the apparel industry. However, the true costs of product returns are not only the logistics costs but also the impact on the customer relationship and potential future sales. The seller has various options: repair it, refurbish it and maybe return it to the buyer, offer it for resale or dispose of it, hopefully sustainably. 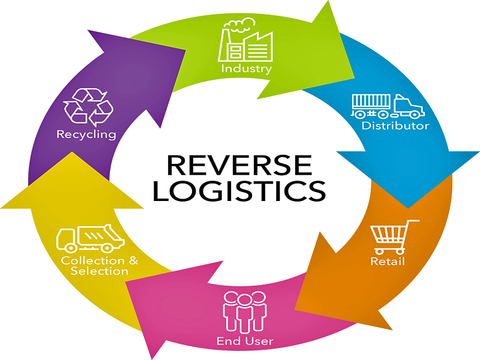 Many challenges occur in reverse logistics that are not present in forward logistics. Returns can come from anywhere at any time making logistics and warehousing forecasting and budgeting difficult. Problems occur where there is no firm, clear returns policy for customers to follow. The time taken to process returns i.e. from receiving the product back and its preparation for resale or disposal may involve price changes. The global nature of e-commerce makes returns across national borders awkward, especially from high growth emerging markets. The challenge is in selecting and implementing suitable technologies. Inventory management systems (IMS) and other software packages have the capability to determine the best channel for an item once it returns to the warehouse (resell, refurbish, repair or scrap). For example, companies can donate returns to a charitable organization to minimise the costs of liquidating or disposal. Manufacturers and retailers are making better use of data analysis tools to predict the flow of future returns. They can track metrics including the volume of returns, the condition of the products, reasons for return and returns as a percentage of sales. Online auction platforms such as eBay are outlets for unwanted returned products. This method can eliminate unnecessary transportation, extra handling and landfilling of the goods. Sellers can receive multiple offers and sell to the highest bidder. There are buyers who are interested in all products of varying conditions (even salvage). Pre-printed barcoded adhesive labels can be supplied to the customer to facilitate the return. When the product arrives back at the warehouse it can be scanned and processed immediately, without error. Mobile applications (apps) can facilitate the processing of product returns and give instant refunds to customers. Shyp is an example of an app that lets customers compare options and to choose the easiest, most affordable way to return their purchases. The reality is most warehouses were not designed for processing returns. 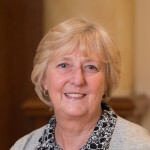 But through providing workers with technology tools such as voice headsets for picking, scanners and mobile computers for real-time tracking and logging of deliveries, workflow can be improved and errors reduced. Educating users on how to streamline a frustrating and cumbersome process takes time, the learning curve for some is slow. Whether in wholesale and retail distribution or in e-commerce, it is a messy, irritating and challenging process for both the buyer and the seller. Operations have traditionally been very manual; in some companies Excel spreadsheets, fax machines and landlines are still the norm. Many retailers are looking to outsource the sorting, processing and reselling or disposal of returns. A common strategy is to outsource some, if not all, reverse logistics operations to an experienced third-party logistics partner (3PL) that can do it cheaper and more efficiently. Many manufacturers of electronics are now using technology solutions and online connectivity to monitor, troubleshoot or repair products in the field and minimize the need for returns. A well-managed returns process is becoming part of the sale. An efficient reverse logistics capability using available technologies can provide a competitive advantage. A customer who finds it easy to return or exchange an item with minimum fuss is likely to make repeat purchases. This article was originally published by Go Supply Chain.